Ask anybody at a party or family gathering about personal Pensions, whether that be a now all to rare Defined Benefit Scheme or a Defined Contribution Scheme (such as a Stakeholder Pension, Group Personal Pension, the new National Employment Savings Trust or (NEST) Pension or the ultimate in DIY Pension Provision, a Self Invested Personal Pension (SIPP)) and it’s likely they’ll glaze over. From my own experiences I feel this occurs for three main reasons – upbringing or culture, mistrust and lack of knowledge. Let’s look at each of these in turn. The vast majority or people learn from a young age to spend and save what’s left. That philosophy is then continually reinforced through a never ending bombardment of advertising which not only encourages us to spend what we earn today but also that it’s ok to spend what you haven’t yet earned today. It’s a fairly old post now but if only people were taught to pay themselves first. I’m the first to admit that I fell for it until I was 35 years of age. The problem is who has an incentive to educate people about this? The Government / Bank of England don’t, particularly now, as we’re in a spiral where they need us savers to spend. They are actually trying to do the opposite and educate us to spend by doing all they can to erode our savings through forcing negative real interest rates upon us. The Corporations of the world certainly don’t want you to gain this knowledge as you wouldn’t be then contributing to revenue today. The only logical place I can see it coming from is family, friends or in very limited cases somebody stumbling across a site like this and believing what I write. Unfortunately though it’s a spiral because if family and friends don’t know about it how can they pass that knowledge across. The simple mention of two words – Equitable Life – is a good place to start. This however is actually a symptom not the cause of the Mistrust because most Pensions don’t actually operate like this. The actual cause is the vast majority of the Financial Services sector (which includes the FSA) who fail to educate with the full story but instead only present the side that helps them. People are in my opinion right to go in to a Pensions transaction sceptical and mistrusting. Let’s look at a simple example. The website of most Pension provider’s will probably say something like the government is trying to help us save for our retirement. If you’re a basic rate tax payer then for every £8 you invest the government will top up your pension with a further £2. They’ll probably then go on to say if you’re a higher rate taxpayer you may be able to claim even further tax relief. The bit they always seem to forget to inform us about is that Pensions, excluding the 25% Tax Free Lump Sum (TFLS), are actually just a tax deferral scheme. You aren’t taxed on the way in but you are taxed on the way out. If you’re a 40% taxpayer and plan to be a 20% taxpayer in Retirement or if your employer makes a contribution if you do then it’s probably worth it but what about the person who’s a 20% tax payer now, will be a 20% tax payer in retirement and doesn’t take advantage of the TFLS (after all it’s not compulsory and would require some knowledge to understand). Is it worth it for him or should he just save in an ISA?. I also feel they seem to make Pension products sound deliberately complicated to ensure that you use them instead of going DIY. This then also enables them to maximise how much they skim for themselves without you immediately noticing. How many people out there have and are paying large expenses today and will then find in 30 years that their Pension has delivered nothing like what they thought it would. It’s short term thinking and self defeating but unfortunately a lot of human nature is based around greed. Take a fair fee for helping somebody, which I actually believe some providers are doing today, then in 30 years that somebody has seen some success and so they make a recommendation to their children. Next minute the snowball is rolling and everyone wants a pension. The Financial Services sector contributes to a lack of knowledge as I mentioned above because it keeps a lot of them employed. The other party responsible for this however is Government. Why they want to continually tinker with Pensions is beyond me. I have a Scientific Degree and call Personal Finance my hobby yet even I struggle to keep up. What hope is there for somebody who doesn’t live Personal Finance like I do? Why can’t they just put a set of simple rules (simple being the important word because there is no reason why a pension wrapper should be complicated) in place and leave it alone. With familiarity will come knowledge and with knowledge will come trust. Additionally as the rules become well known, understood and anecdotal evidence starts appearing detailing success further trust will develop. Unfortunately I don’t see any of the above changing in my lifetime. So what can the average punter do? One thing is to find UK based Personal Finance sites where there is a Community of like minded people learning from each other. The excellent Monevator would be a good start but they could also head over to Objective Wealth or Money Saving Challenge where they are not going to be peddled a vested interest sell. With time this will also build knowledge and also help you recognise when you can trust. I’d also recommend heading over to one of my favourite reads, Simple Living in Suffolk, where Ermine presents a journal of his first hand experiences. Another web based starting place would be of course be the Pensions Advisory Service. The other way to get the education one needs to face down Pensions is a good book to help to simplify the current and likely forever complex pension problem. This is where John Hulton, Retirement Investing Today reader and generous Guest Poster, steps in with his new low cost (something the Financial sector could learn a thing or two about) EBook D-I-Y Pensions . To quote John himself he has written a book “mainly for the benefit of those who know they need to do something about a pension but are confused about where to start.” Within the first few hundred words he spells out The Basics which could take hours of web research. He then builds on that by describing the Types of Pension available, the State Pension including the New Flat Rate Pension Proposals and Personal Pensions before describing how to Build a DIY Pension Pot. 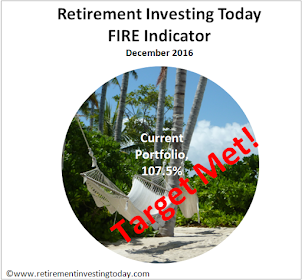 Now that you have that Pot you are not abandoned with John also covering Annuities & Income Drawdown and how to Manage the DIY Income Drawdown Portfolio if you’re that way inclined. The other benefit is that it isn’t going to take you a week to read meaning you have time to earn some more money to contribute to that Pension you’ve decided to start after reading it. How do you feel about Pensions? Am I being unfair towards the Financial Services sector and/or Government and just ranting or is some of it justified. As always I’d value your opinion. I love a good rant and what you written is entirely justified. I fully agree about the constant government meddling. OK, so not all of the biannual flurry of rule changes affect everyone, but people only know if they're affected if they dig deep into the rules, and the whole impression is of something that government can't keep their fingers out of. This is a very serious and growing problem in this country and the fact that government legislation and red tape make it very difficult for people to understand what is a very simple idea is a scandal. We have an ageing population that forces mine and my children's generation to work the longest hours whilst being taxed the most. Its legalised financial gangsterism. That includes the FSA who have never really fully grasped the complexity of the globalised financial system and its impact on individual consumers. Firstly, a big thanks for the write up and plug for "DIY Pensions" - much appreciated! Yes, the goverment and financial institutions have much to answer for and I think you are corect to pick up on issues of mistrust and deliberate complexification (is that a word!). Hopefully people will start to take more control of their finances and things will gradually shift. "Great - Gove putting personal finance on school curriculum. About time too! Lack of knowledge leaves many ppl open to ripoff"
I know Martin Lewis has been campaigning for some time on this issue. My only question would be - who will be qualified to teach our children? No need for thanks. 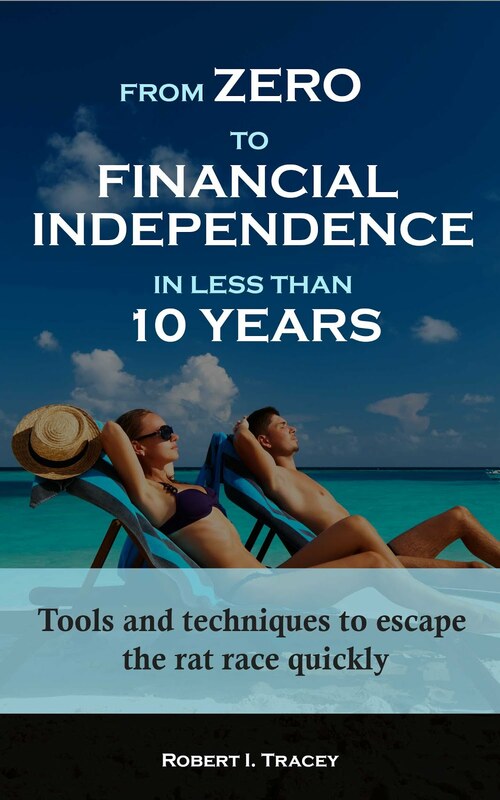 The EBook is well written and explains Pensions in a simple way. It has furthered my understanding and therefore deserves the hat tip it received. I've had a stakeholder pension since the age of 25 which i took out through my then employer who matched my contributions. At the time it was a good deal, however i have to admit i've become a lot more disillusioned about pensions, but not the concept of building a retirement fund. The problem for me revolves around management fees (although these are meant to be limited in stakeholder pensions), reducing annuity payouts and the general complexity involved in understanding the options. Personally i think i prefer the idea of saving into ISAs going forward, as at least then i feel i have more control over my money and potentially looking at the buy-to-let market to try and spread my eggs, but the primary goal before all that is to considerably reduce mortgage debt. I'm not sure if this is the best / most sensible approach, but it kinda makes sense to me at the moment. As for how will people-in-general cope in the future without pensions, i think we will see society return to a more Victorian way of living with two or three generations living in the same house, with old looking after the young, the young looking after the old and those in the middle out working to bring in the income. You say you've become disillusioned with Pensions. Are you still using them? As you know I'm still a fan. Today it is possible to get Pension Wrappers with low fees, you no longer have to buy an annuity and if you read a book like John's DIY Pensions (linked above) they won't seem anywhere near as daunting in complexity. I also use ISA's heavily and I'm currently working on a post that I'll likely finish in time for next weekend that shows just how important they are if we are to minimise the taxes we pay to HMRC both now and in our Retirement. As you also know I believe that the Property market is highly over valued and is due a fall. I haven't even bought a property as a home let along a BTL. You're a much braver person than me although of course I could be very wrong. I'm sure you'll do plenty of research before jumping in and I'd be greatful to hear the contrarian view to ensure I gain a balanced opinion. Your post is more than fair .. I'd add human nature to your list - http://www.psyfitec.com/ has lots of good stuff on how our instincts lead us astray. People are most disappointed, almost angry, if I say there is no secret .. and what they need to do is something much more dull such as buy some low cost tracking funds and leave them alone .. Excellent point and thanks for linking to The Psy-Fi Blog. It's a site that I visit frequently. The incredible thing to me is that they want people to lock away their money for 30 years, and then they go and constantly fiddle with the rules. If someone is going to lock away their money for 30 years, the fear factor is pretty high. Ideally you'd want a rock solid guarantee that while the returns are unknowable, at least the rules are. Thanks for the name / link check. Agreed. I see it as a real risk and it's one of the reasons I only have around 39% of my net worth in Pensions. I'm reluctant to go much further even though I would be financially better off for it in the long run.